Ohio ACTE - New Members - Join Here! Join Ohio ACTE today! Membership shows your support for career-technical and adult education in Ohio. To join, start by selecting your membership level below. The membership year coincides with the school year, Sept. 15- Sept. 14 and dues are prorated accordingly for new members the first year. All career-technical and adult educators are encouraged and welcome to join the only statewide organization that represents the interests of ALL career technical and adult educators. Members represent educators at comprehensive/compact high schools, career centers, adult career centers and community colleges. For a list of member benefits, click here. On the online application you will be asked to provide general contact information, and you will have the option to join any of our divisions (click here for a list of divisions). Note: Your dues amount may change depending on what options you select. 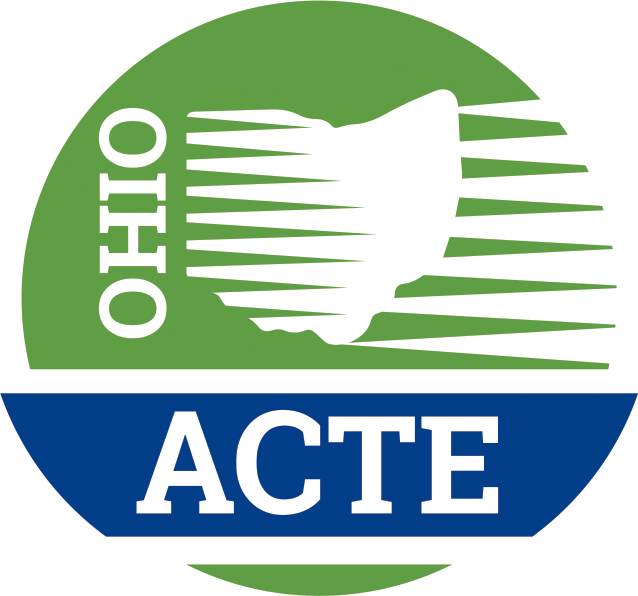 First year teachers are invited to join Ohio ACTE for free! Click here for more information. **Administrator Membership $75.00 (USD), prorated to $31.25 (USD) Subscription period: 1 year, on: September 15th No automatically recurring payments Educators concerned with the administration of career-technical and adult education and employed full-time as an administrator. **Instructor/Teacher Membership $75.00 (USD), prorated to $31.25 (USD) Subscription period: 1 year, on: September 15th No automatically recurring payments Teachers/instructors in career-technical education, including both career field and academic subjects. **Staff, Supporters and Others $75.00 (USD), prorated to $31.25 (USD) Subscription period: 1 year, on: September 15th No automatically recurring payments CTE supporters, staff, and employees concerned with career-technical and adult education. Business Membership - $250.00 (USD) Bundle (unlimited) Subscription period: 1 year, on: September 15th No automatically recurring payments Businesses who serve career-technical and adult educators can join Ohio ACTE as Business Partner Members. Student - Free Subscription period: 1 year, on: September 15th No automatically recurring payments For adults who are career-technical educator students. Thank you in advance for joining Ohio ACTE! You can also join and/or renew your National ACTE Membership via this page - simply visit the the ACTE Web site (click here). Although it is a separate transaction, your national membership will be renewed quickly and efficiently with no transition time, but in real time.